ATLANTA, February 10, 2015 – BIS Benefits, headquartered in Atlanta and serving clients across the state, recently ranked among the top 25 leaders in its industry – the third major recognition received by the firm in the past year. BIS Benefits was named to “Atlanta’s Top 10 Healthiest Employers” given by the Atlanta Business Chronicle to companies that create policies that foster employee wellness. BIS Benefits was also honored as “2014 Best in State Broker” by FormFire, a Cleveland, Ohio-based insurance technology company. BIS was rated by 100,000 small businesses and was part of 5,000 brokers nationwide that were given feedback by the survey. 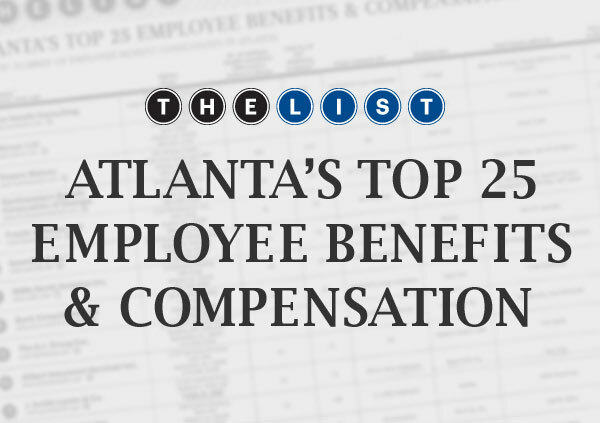 And BIS Benefits was just named one of the “Top 25 Employee Benefits and Compensation Companies,” in metro Atlanta, a list released annually by the Atlanta Business Chronicle. BIS Benefits assists clients by becoming a trusted advisor in helping clients navigate through the complexity of the Affordable Care Act (ACA), and its compliance challenges rather than being a broker who is transactional, simply selling insurance policies. The firm is noted as having a culture that emphasizes employee wellness. BIS has implemented wellness programs that are structured with financial incentives to benefit those of its employees who are participating in their company’s medical plan. Based on the results of certain biometric screenings, employees can significantly reduce their own premium costs, much like a “good driver’s discount” at auto insurance companies. This type of program can effectively lower overall claims, which results in lower premiums for the employer. “We are passionate about helping our clients balance economic savings with quality health care offerings. When these are coupled with an effective wellness initiative, a winning combination is the result. Our hope is there will be an equal emphasis on providing all of these initiatives in the future,” says Mr. Bachman.